We have a number of properties in prime locations available for sale NOW. We are able to offer these properties with transferable mortgages, if required, to make financing your dream home easier. Why not come out on an inspection trip and rent one of the properties giving you time to try it out or look around at other options.If you decide to buy the property then we will refund your rental costs. Perhaps you may prefer the Rent to Buy scheme now available in Spain whereby you can agree to rent the property of your choice with the option to buy at the end of an agreed period. The rental paid will then be deducted from the purchase cost giving you the security of making sure you love your home in the sun. 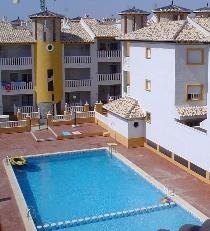 El Pinet: These apartments are situated in a conservation area close to the lovely pine forests and beaches at La Marina on the Costa Blanca coast. Alicante airport is only a short 20 minute drive south making this an ideal location to access quickly and easily. The site is still under construction though this area has now been completed. The kitchen, which is fully tiled, has a marble worktop, fitted units and a separate utility area where there is a sink and space for a washing machine. There is a spacious lounge/diner and two good sized bedrooms with large fitted wardrobes. The bathroom is fully tiled and has a bath with overhead shower,w.c, bidet and handbasin. In addition there is a window in the bathroom giving natural light and ventilation. The large balcony has sea views as well as views over the communal pool. The aspect is sunny all day as the balcony is south facing. The second floor apartment has a rooftop solarium with storage area.There are security grills on the doors and windows and air conditioning. 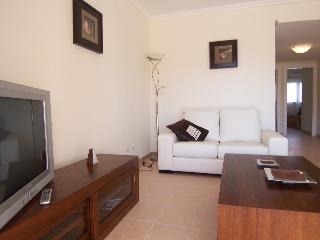 This one bedroom apartment is located in a sought after development called Delta Blanca . 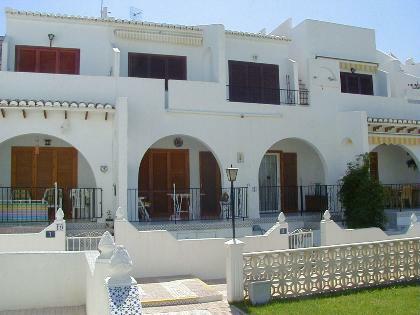 Situated in a quiet residential area near the town of Quesada, it makes the perfect holiday retreat as it is close to Alicante airport, golf courses and beaches. The property is on the ground floor and has one bedroom with patio doors leading onto the balcony,a fully tiled bathroom with overhead shower,open plan kitchen /lounge with patio doors leading onto the balcony. There is a small garden , which is easily maintained, with access to the pool area. 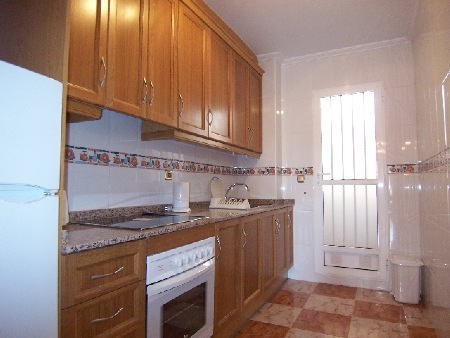 PRICE: This property is available fully furnished and ready to move into or to rent out. The Agueda Apartments overlooking one of the stunning communal pools with their ornamental bridges and many water features. 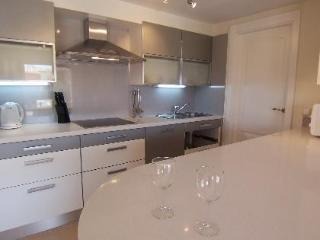 This luxury two bed , two bath apartment is on the ground floor of a corner plot and is 108 sq mts in size. The spacious patio area leads onto the low maintenance garden which has been landscapped with orange and lemon trees, cacti and a centre piece water feature . The kitchen is open plan with a breakfast bar. It comes with an integrated dishwasher, granite worktops, oven, hob, hood and separate utility room which houses the fridge/freezer and washing machine. The lounge is large, spacious and bright with double patio doors leading onto the garden. There is a dinning area adjacent to the open plan kitchen.The apartment is air conditioned and has secure underground parking with lift access. The en-suite bathroom has a corner jacuzzi bath with over head shower and a window to allow light and ventilation. The sanitary ware and tiles are by Villeroy and Boch. The second bathroom has a shower unit and bidet and there is also a small window to give light and air. The two bedrooms have large fitted wardrobes, air conditioning and paddle fans for ventilation. 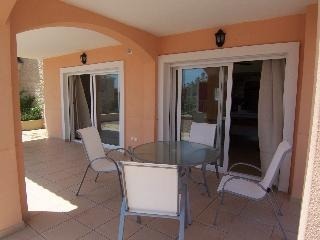 The window shutters are electronically controlled throughout the apartment for added ease and security. The Mosa Trajectum resort is still being developed and it is hoped that it will rival La Manga Club in a few years.It is anticipated that the property prices will escalate when the site is finished. At present all the building work on this part of the complex has been completed .